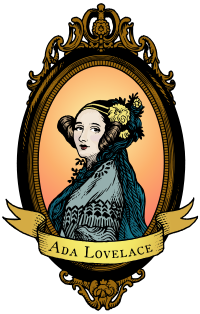 Ada Lovelace Day: meet some of the "women behind Debian"! To celebrate, we asked to some of the "women behind Debian" to share their stories with us. Enjoy! I'm a 30-something years old geek. I'm from Andalusia, Spain but live in France. What do you do in Debian? I work mostly on my packages, in sponsoring new people's packages and in this very blog you're reading now. I also maintain an unofficial Google+ page about Debian. At $PAID job, I work in an internal Debian distribution so from time to time, I get the opportunity to contribute back some of the stuff we do there. How and why did you start contributing to Debian? I started using Debian around 2003 switching from Mandrake. I was a happy Debian user when the Debian Women project started in the summer 2004. When I saw the project announced, I asked myself why I wasn't contributing to Debian and the rest is history... in a couple of weeks it'll be my 7 years DD-versary! If for some reason you want a longer reply to this question, read here. I work on translations - doing the translation work itself, but also reviewing other translators' work and helping in coordinating the translation effort. I started using Linux because I liked the idea of an open source operative system based on collaboration and I began reviewing open source software translations. Since my first Linux system was Debian Potato and I sticked to Debian ever since, it only seemed natural to focus my translation work on Debian. My name is Christine Caulfield. My day job is principal software engineer at Red Hat working on the cluster infrastructure components corosync & pacemaker. Outside computing I'm a musician and sound engineer. I play violin with lots of technology attached, and love avant garde music. I'm not that active on Debian any more due to pressure of time, and maturity of the packages I work on. I currently maintain the, little-used, DECnet userspace packages and the, even less used I suspect, mopd bootloader. I used to maintain lvm2 for a while but dropped that a few years ago. My initial reasons for joining Debian were slightly selfish, to find a home for the DECnet project that I was heavily involved in at the time. I was a keep Debian user and people wanted a distribution where the software was easy to set up. DECnet is quite complicated for users to configure, being a totally independant networking stack to IP and so OS support is needed. Debian seemed like the logical place to make this happen. As mentioned above I got quite involved for a time and maintained other packages too. I picked up lvm2 because I was on the lvm2 dev team at work in Red Hat and as it was a new package at that time I seemed a logical choice. I'm a 30-something years old geek and Free Software enthusiast from Italy. I'm currently maintaining a few packages (2 python modules and a python program) as a sponsored uploader; I'm also slowly looking around for other things to do (by preference technical, but not limited to packaging), with the aim to spend more time contributing to Debian. For a while I had being distro-hopping between "fun" distributions (the ones that break now and then) on the desktop while using Debian stable on the home server and in chroots. I was already doing marginal contributions to those distributions, where finding stuff that was missing was easy, but my perception as a stable user was that Debian was already working fine and probably didn't really need any help. Then I started to socialize on IRC with some DDs and DMs, and realized that my perception was superficial and that in reality there were dark holes in the depths of the archive where Evil festered and prospered and... ok, sorry, I got carried away :) Anyway, since I was actually using Debian more and more I decided to start contributing: I read documentation, I attended the useful IRC sessions on #debian-women and decided that it was probably best not to add new stuff, but look for things that I used and that needed help. Then nothing happened for a while, because finding stuff that doesn't work is hard (at least on my mostly textual systems). Then one day I was trying to write a python script that needed to verify gpg signed messages; it had to run on my Debian server, so I was trying to use python-pyme and its documentation was painful to use, while I remembered an earlier attempt using python-gnupg that was much more pythonic, but not available in Debian. In a fit of anger I decided to forgo all of my good intentions and actually add a new package: I checked the sources for problems, packaged, sent it to mentors@d-o, got reviews, fixed problems, resent and finally got sponsored and well, everything started. I'm Francesca, a 30-something Italian graduated in Social Sciences. I'm a (non uploading) Debian Developer since 2011 and have been DPN editor, press officer, webmaster for www.debian.org and translator for the Italian l10n team. Recently, due to time constraints, I had to reduce my involvement and now only work on two things: writing/editing articles for bits.debian.org together with Ana Guerrero, and creating subtitles for the DebConf talks, in the DebConf Subs team. I live in Madrid (Spain), and work as IT Assistant in the Technical University of Madrid (UPM). I'm married and I have a 4-years-old son. I'm using Debian at work since 2007 (servers), and in my desktops since 2010. I like very much that it is a community distro and I wanted to participate. I was already doing translations in other (small) free software projects, so I began here too. The Debian-Women list, the planet, and people in identi.ca helped me to learn a lot and feel part of the community even when I was not contributing yet. My name is Mònica Ramírez Arceda and I am an enthusiast of free software and sharing knowledge cultures: for me it's a kind of philosophy of life. I studied Maths a long time ago but ended up working as a developer for some years. Now I'm working as an IT teacher. Debian is a huge project, so you can help in various scopes. Mainly, I work on packaging, fixing wnpp bug inconsistencies in BTS and helping in spam cleaning of the mailing lists. But I also enjoy doing some non-technical work from time to time: the project I am just now involved is organizing, with the rest of Debian Catalan community, a local team to propose Barcelona as the venue for a minidebconf where all the speakers will be women.